The New SSS begins enrollment for PESO Fund now Accepting! State-run Social Security System (SSS) has begun accepting applications for its provident-fund scheme program that aims to increase savings among members, particularly for building their retirement fund. In a statement, the pension fund for private sector employees said it is now accepting enrollment applications for the Personal Equity and Savings Option (SSS-PESO) Fund program, which is open to all members who are 54 years old and below. However, SSS said members should have at least six consecutive contributions under the SSS regular program within the last 12 months prior to enrollment. “They can participate for an initial contribution of P1,000 with succeeding contributions of at least P1,000, in multiples of P100. An SSS-PESO member can contribute up to a maximum P100,000 per year,” SSS Vice President for Benefits Administration Division Agnes San Jose said. Members are required to personally appear before an SSS authorized representative to sign the accomplished forms for confirmation. “This procedure allows us to verify the authenticity of the document and the identity of the applicant,” San Jose explained. The program’s guidelines which came out recently, stated that employed members, regardless of the amount of their current monthly contributions, could join the SSS-PESO Fund while self-employed, voluntary and OFW members should be paying the maximum SSS contribution to be able to contribute in the SSS-PESO Fund. The guidelines further explained that there has to be a corresponding SSS contribution on the month the member will make contributions to the SSS-PESO Fund account. What is the SSS P.E.S.O Fund? 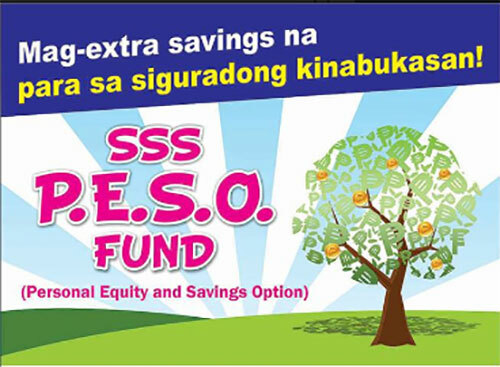 The SSS P.E.S.O Fund (Personal Equity and Savings Option) i a voluntary provident fund offered exclusively to SSS members in addition to the regular SSS program. Through this program, members who have the capacity to contribute more are given the opportunity to save more in order to receive additional benefits in the future. Why is the SSS P.E.S.O Fund a ggod investment? Who can join in the SSS P.E.S.O Fund? Have paid contributions in the regular SSS program for at least six (6) consecutive months within the 12-month period immediately prior to the month of enrollment. Have not filed any final claim under the regular SSS program. 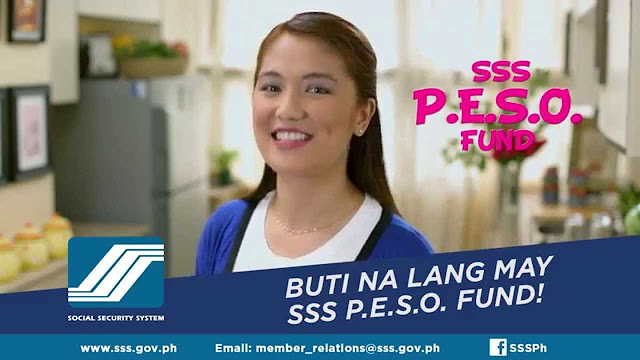 How can an SSS member join the SSS P.E.S.O Fund? Interested and qualified SSS memvers can enroll in the program over-the-counter at any SSS branch. Enrollment via My.SSS will be announced later. When does membership in the SSS P.E.S.O Fund start? Membership begins with the payment of the first contribution to the P.E.S.O Fund. When can a member contribute to the SSS P.E.S.O Fund? Contributions to the P.E.S.O Fund may be made anytime, whenever the member has excess funds. SE, VM and OFW members, must have regular SSS contributions based on the maximum Monthly Salary Credit (MSC) on the month of payment before they can contribute to the P.E.S.O Fund. Each member shall be allowed a maximum contribution based on the maximum of P100,000 per annum and a minimum of P1,000 per contribution. How is the SSS P.E.S.O Fund allocated? Are withdrawals from the SSS P.E.S.O Fund allowed? No withdrawals are allowed from the retirement/total disability account. Withdrawals from the fund shall be allowed only from the Medical (25%) and General Purpose (10%) Accounts. Withdrawals within the 5-year retention period shall be charged with corresponding penalty and service fees. When can a member receive benefits from the SSS P.E.S.O Fund? The member will receive benefits upon filing a retirement, total disability or death claim under the regular SSS program. Retirement or total disability benefits, which consist of the member's contributions and earnings from the SSS P.E.S.O Fund, may opt to receive this in monthly pension, lump sum or a combination of both. Death benefits shall be paid in lump sum to the member's beneficiaries. The table shows that an SSS P.E.S.O Fund member who contributes P100,000 per year starting at age 40 will have contributed a total of P2.0M by the time he reaches age 60. Assuming that the fund growth rates are at 3.75%, 1.85% and 1.85% per annum (may be higher or lower) for Retirement Account, Medical Account and General Purpose Account, respectively, the member would earn P500,000 in 20 years, giving him a total of P2.5M upon retirement. However, if the member placed his P2.0M in a bank with an average savings interest rate of 0.45% per annum (net of tax), his deposit would earn P100,000 in 20 years, giving him a total of P2.1M upon retirement. For the pilot implementation of the SSS-PESO Fund, interested members may apply at any of the branches; Diliman, Cubao, San Francisco Del Monte, Pasig-Shaw, Mandaluyong, Taguig, Makati-Gil Puyat, Alabang, Legarda, Pasay-Roxas Boulevard. Members are required to personally appear before an SSS authorized representative to sign the accomplished forms for confirmation. “This procedure allows us to verify the authenticity of the document and the identity of the applicant,” San Jose explained. By September this year, all SSS branches nationwide will accept applications to the SSS-PESO Fund. Eventually, enrollment may be done online through the My.SSS portal.